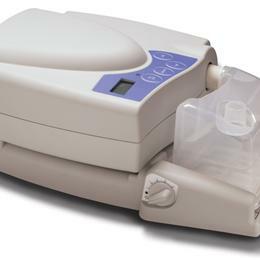 Restez Cpap Line: Restez Is Engineered With An Internal Pressure Transducer That Provides Real-Time Measurements To Ensure That The Prescribed Pressure Settings Are Always Being Delivered To The Patient. The Transducer Will Adjust The Blower When A Loss Of Pressure Occurs Due To Resistance In The Interface Circuit Or Changes In Altitude. This Dynamic Calibration Feature Can Also Be Used To Overcome The Resistance Inherent In Nasal Prong Interfaces. Built In Auto Compliance Feature Monitors Usage And Provides An Early Identification Which Creates An Opportunity For Intervention In The Event Of A Non-Compliant Patient. Restez Ii Also Comes With A Usb Cord And Software Which Allows Usage Information To Be Easily Downloaded To Check Compliance. Restez Iii, Includes Usb Cord, Software, Plus Enhanced Features For Measuring And Downloading Patient Compliance Data And An Interface Alert Which Notifies The Patient Every 90 Days That Their Interfaces Need Replacing..